Update: 5/21/2016 Community Policing returned my call, and told me that the incident had been a suicide. They said there was no criminal aspect to the incident. And that they were not giving out other information. We held a workparty yesterday for University Prep middle schoolers, and the park felt calm and welcoming. Don’t avoid visiting, there is nothing unusual left. 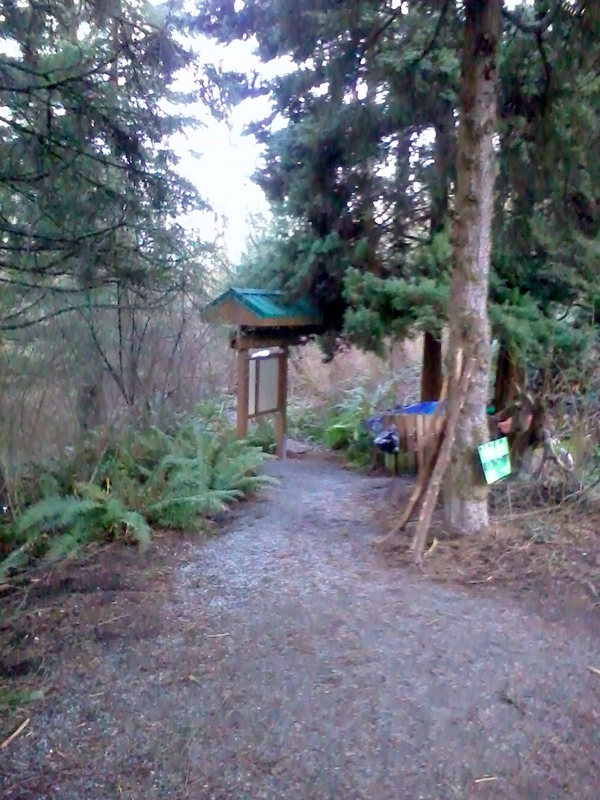 Our Homestead Trail leads from the entrance, past the tools and work area, down to an overlook above Thornton Creek. 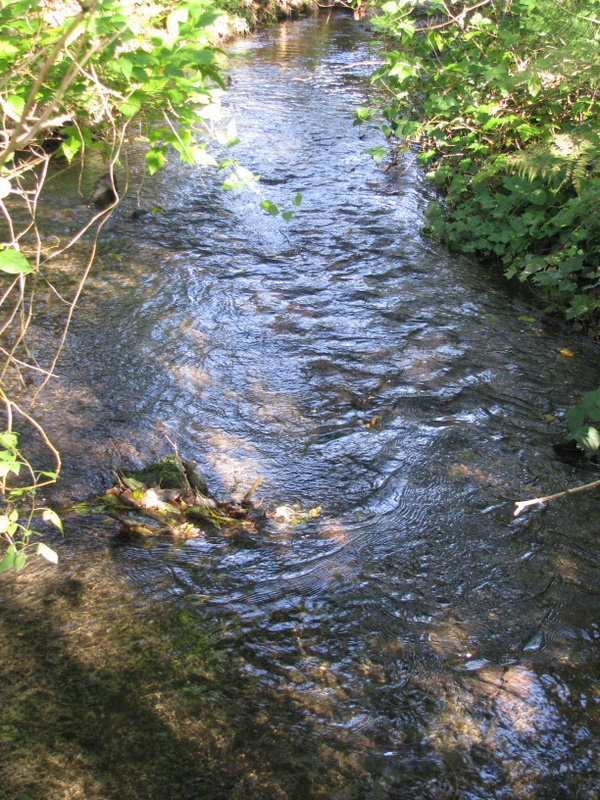 To get to the creek itself, you must still negotiate a rougher trail. 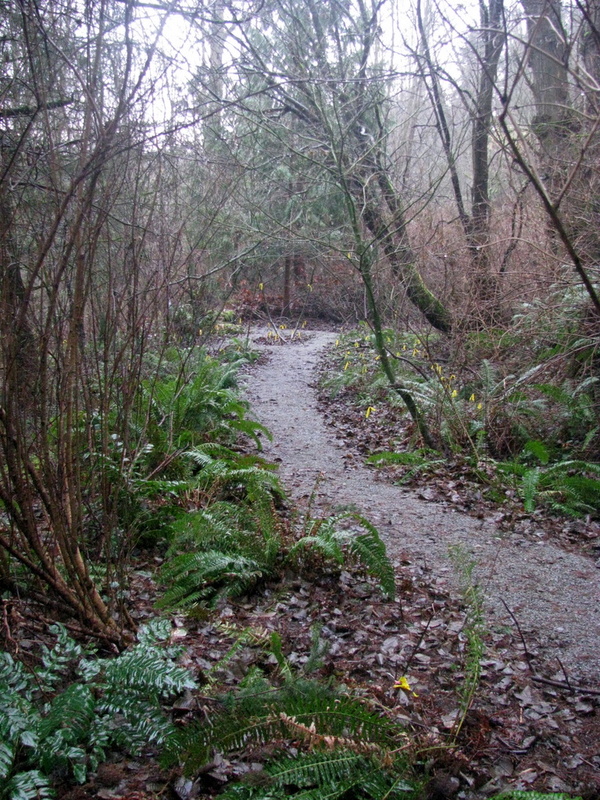 The 130th Street Trail follows the level of the extension of NE 130th Street to an overlook down into the Natural Area. Under two big-leaf maples you can view the creek, trees, and birds. Come have a hotdog, soft drinks and hear what’s in the works for your neighborhood nature preserve. All ages welcome. The cleanup will involve making repairs to trails and bridges and making sure that the many recently planted native plants get some help for the summer. No planting this time. Fun for kids. Free tours and plant/animal ID. Come when you can. Help or just visit. Saturday June 21 10AM-2PM . Directions: The entrance is at 1100 NE 130th Street (2 blocks off 15th Avenue NE), bottom of the hill. If you use Interstate 5, exit at Northgate Way or 130th Street NE and drive east to 15th Avenue NE, then find 130th Street NE off 15th Avenue NE. Parking: At the top of the hill on near the corner of 12th Avenue NE and NE 130th Street (off 15th Avenue NE). 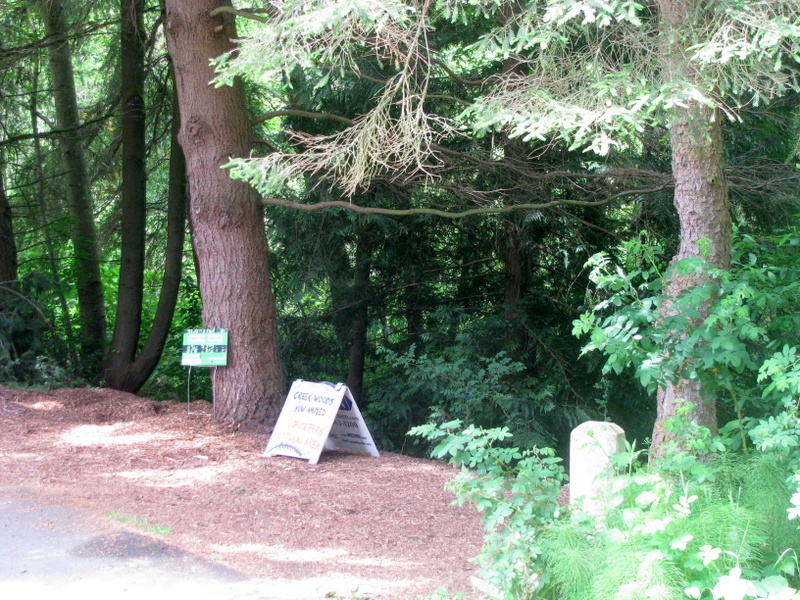 There is no parking space down by the entrance, walk just one block down..
Natural Area Entrance – – Kiosk here soon! WHEN? Saturdays March 1 and March 8 10AM-1PM we’ll be working on planting trees and shrubs, and placing wood chips around our plantings to control weeds and hold moisture for the coming dry summer. WHY? We have about 100 potted plants and trees that need to go in the ground this Spring. They will grow for tens to hundreds of years creating a new native forest for us and the wildlife. HOW? We have all the tools, and we know where the trees and shrubs should be planted. You come with your energy, no experience needed. WHERE? 1100 NE 130th Street, 2 blocks off 15th Avenue NE. 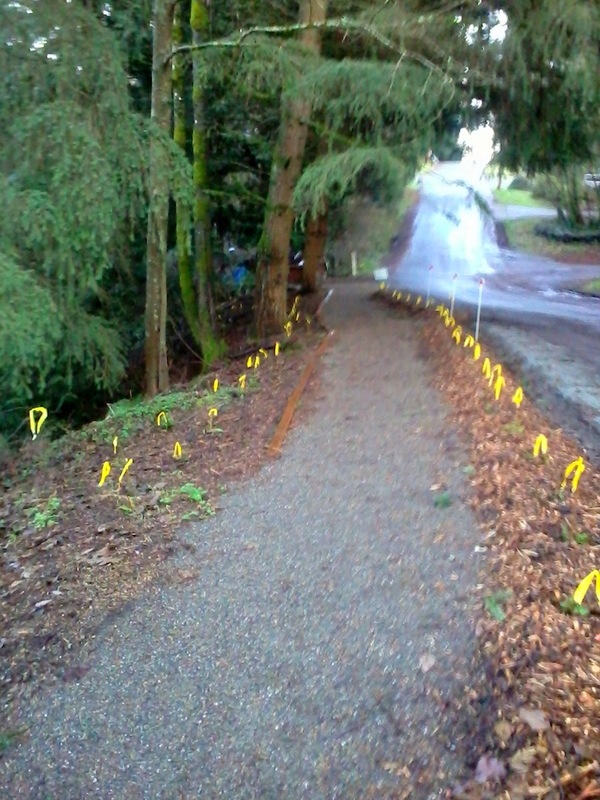 The trail entrance is at the bottom of the hill on NE 130th Street, 1 block from the top-of-hill parking. Maps here. PRE-REGISTER — Not required, we just want your participation. For Saturday March 1 register here. For Saturday March 8 register here. Big news this Fall, Licorice Fern Natural Area is getting serious attention from city agencies. Just started this month is restoration of one acre of steep slopes, paid for by the Seattle Parks Department, and performed by the work crew of contractor Frank Maduzia. The crew will be removing the invasive weeds, installing anti-erosion measures, and planting a wide variety of native plants. These areas, on the south boundaries of the Natural Area, are steep enough so our volunteers have left them alone. If you visit, you can see the first area they have worked on, down the slope from the big woodchip piles at the end of NE 130th Street. The work is scheduled to complete by mid-November. 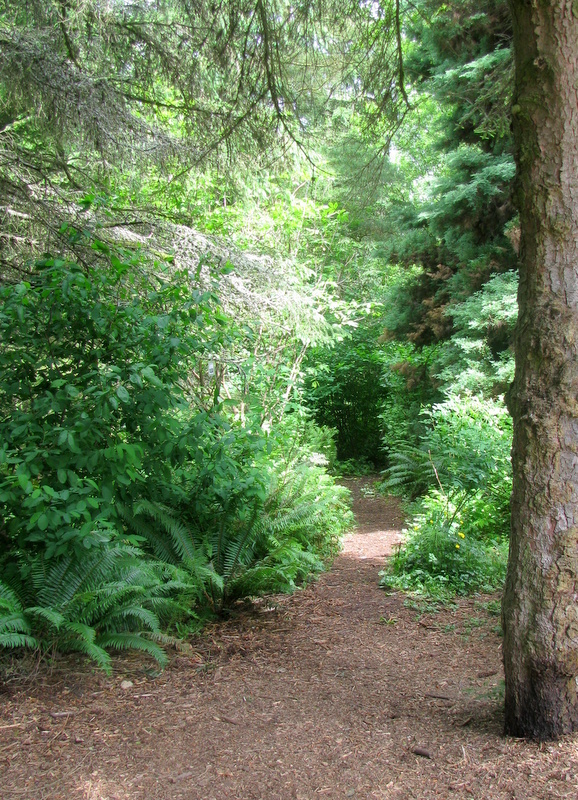 We are optimistic that we will be awarded a major grant from King Conservation District, that will support planting 500 conifer trees (cedars, Sitka spruce, and hemlock) throughout the Natural Area , and also support training of groups of students in restoration techniques. This will be a major boost toward reaching our long-term goals as detailed in the Plan. This week is our first workparty and training session with our long-time partner school, University Prep. About 30 middle-school students will visit Licorice Fern for their first workparty and orientation. Over the school year three other groups of UPrep students will have the opportunity to get outdoors, get their shoes muddy, and do some good work for our forest. 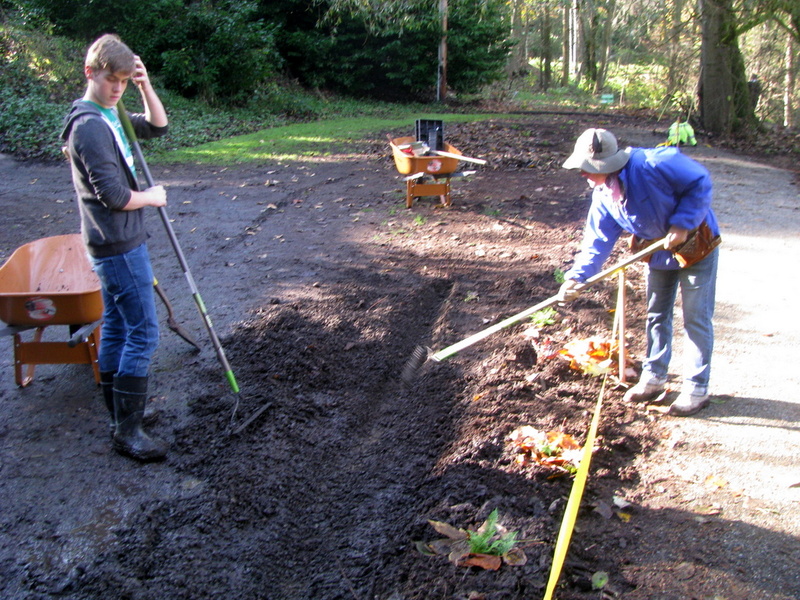 We are nearing planting season (November, December) and we will be posting neighborhood workparty announcements on the Green Seattle Partnership’s Volunteer Schedule Come on out to meet neighbors and enjoy our local forest. It’s summer, it’s hot and the trees are thirsty. Baby trees and tender young plants fresh need watering and fresh mulching to keep them moist. To learn how to water and mulch, please contact KELLY DOLE.